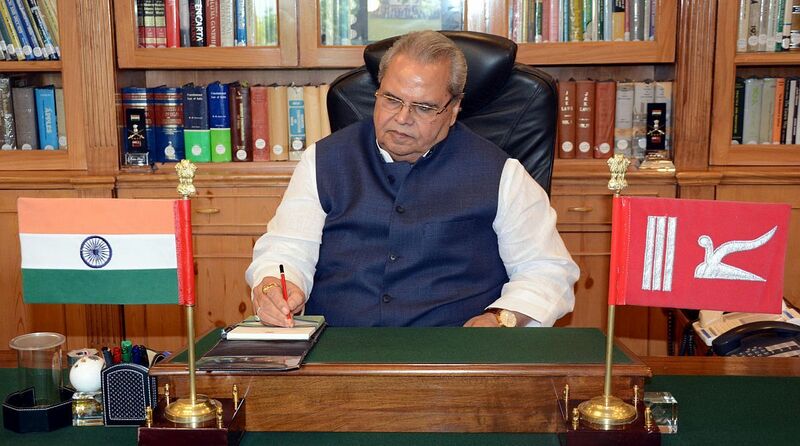 Jammu and Kashmir are on the new governor Satya Pal Malik who has replaced a career bureaucrat NN Vohra who had initiated several steps to streamline the derailed administration in the state. Handling of terrorism, unbridled officialdom, rampant corruption and the deep-seated grievance of discrimination with the Jammu and Ladakh regions by the successive valley dominated governments are among several ticklish issues that shall have to be tackled by Malik himself as J-K is under the Governor’s rule since 20 June. The state has seen the Governor’s rule eight times and the maximum number of four was during the slightly more than ten years tenure of Vohra who made serious efforts to streamline the derailed officialdom but things returned to the square one when his direct rule was replaced with the politically elected governments. Vohra was given separate farewell by the political parties in Kashmir, bureaucracy and educationists when he returned to Srinagar to wind up after meeting Prime Minister Narendra Modi and Home Minister Rajnath Singh. What is being seen as a welcome sign was that Malik had sent across the signal of keeping all political parties on board as on his arrival at the Srinagar airport from Patna he was received among others by former Chief Minister and National Conference chief Farooq Abdullah. But it is to be seen as how he handles the Hurriyat leadership that has kept the sensitive state, particularly the Kashmir valley, on the boil by whipping up sentiments of Kashmiris. It will be a challenge before Malik to win the confidence of the people of all three regions of the state—Jammu, Kashmir valley and Ladakh—that was enjoyed by Vohra who did not indulge in politics but was quick in meeting the genuine demands of these regions. Moreover, during the current spell of Governor’s rule, Vohra took measures to make the bureaucracy responsive and accountable as he took a special interest in strengthening the mechanism to solve the grievances of the people. The bio-metric attendance was also introduced by him to improve the presence of officials and teachers at the place of their posting. Being chairman of the Unified Command of the Army, CRPF, BSF, J&K Police and various state and central intelligence agencies, Malik shall have to firmly handle the terrorism scenario that has seen an upward swing during the past few months when innocent civilians, Army and police personnel were targeted by terrorists. Immediately after being sworn as Governor on 23 August, Malik listed his priorities of rapid development, good governance, accountability, cleaning of water bodies and environment and redressal of grievances.